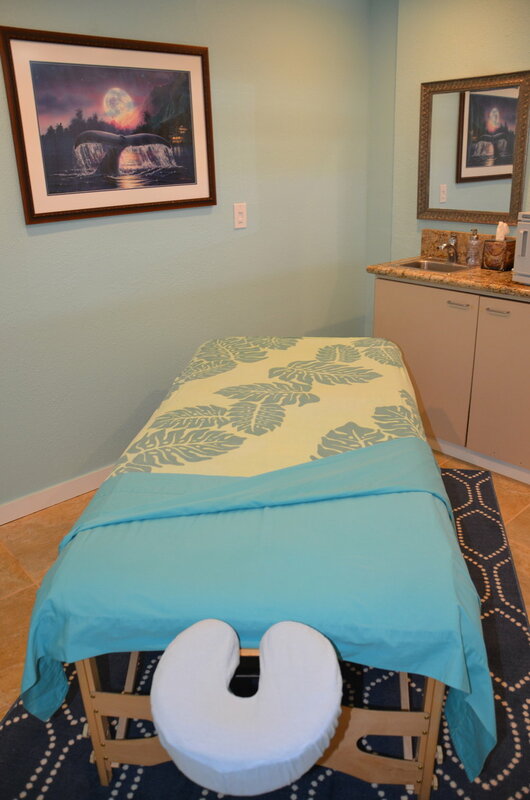 Massage Professionals - Ala Moana Clinic is an extension of Hawaii Healing Arts College & Massage Professionals, the School of Massage Therapy in Kailua, Oahu. In April 2019, our massage clinic, Massage Professionals have expanded to Ala Moana Medical Building next to a world re-known Ala Moana Center in the city of Honolulu. The five beautiful and serene private treatment rooms offer a unique atmosphere in each, with original artwork by well-known artists, colors that calm, heated tables, and audio systems that allow for the therapists’ personal choice of healing music. All the licensed therapists on staff are graduates of Hawaii Healing Arts College and have continued into private practice in Massage Professionals. Our Massage Professionals - Ala Moana Clinic is OPEN Monday to Friday 9:00am to 7:30pm, Saturday 9:00am to 5:00pm. (Sunday and major U.S. holidays are CLOSED.) Although appointments are highly suggested, walk-ins are always welcomed. Call (808) 941-1010 for appointment or click on the button below. Licensed Massage Therapist gift certificates are available for sale at the front desk. Gift certificates purchased by telephone and mailed directly to the recipient (via USPS Certified Mail) are subject to a $10 processing fee. Please ask the receptionist about our new LMT Rewards Program: purchase 10 massages with a Licensed Massage Therapist and receive a one-hour session for FREE. Parking is FREE at Ala Moana Center throughout the shopping center premises.